It is not a secret that WhatsApp has been exploring ways to profit from its customer base (1,2 billion active users worldwide) since it was acquired by Facebook for $19 billion three years ago. However, no business development had been reported until last week, when it came to our attention that a Whatsapp version for businesses is in the test phase. Will the mobile messaging app find the way for monetization with this move? Has WhatsApp anything else in mind, like making the most of artificial intelligence advancements or, what is more decisive, fullly getting into the Internet of Things ecosystem? According to a report by Reuters, WhatsApp began testing a system that allows businesses to directly communicate with consumers. In this sense, the business model will be focused on charging businesses for the access to useraccounts, which means that an advertiser theoretically could send messages directly to specific users, which are very well segmented by profiles thanks to Facebook’s expertise. However, it seems like WhatsApp won’t open the doors to massive spam, but to business bots (in the same way Facebook integrated them in Messenger) in order to offer users added value, on the one hand, and to expand its bot concept to areas like India, where WhatsApp is considerably more popular than Messenger,, on the other hand. Actually, Mashable also reported recently that “WhatsApp might be working on a business feature for small enterprises that will soon pilot in India”, what confirms that WhatsApp is making clear moves towards its monetization. “WhatsApp for Business”, a sort of version of the app, might be targeted for small companies that want to improve their customer interactions. According to Reuters, the test phase, which is in its early stages, is carried out by a group of start-ups that are under the umbrella of the Y Combinator, which provides seed funding for start-ups with great potential. One of the companies that take part in the trial is Cowlar, which develop connected collars for livestock and might be trying a system that sends push notifications to farmers through WhatsApp to let them know when unusual behaviour is detected. In this way WhatsApp might be ready to break into the Internet of Things market, which is one of the markets with more potential in the years to come. Many connected devices that monitor and track livestock behaviour, health indicators or energy consumption can be connected very easily to the end users, thereby establishing fast, direct, but also unintrusive interactions to prompt reactions. 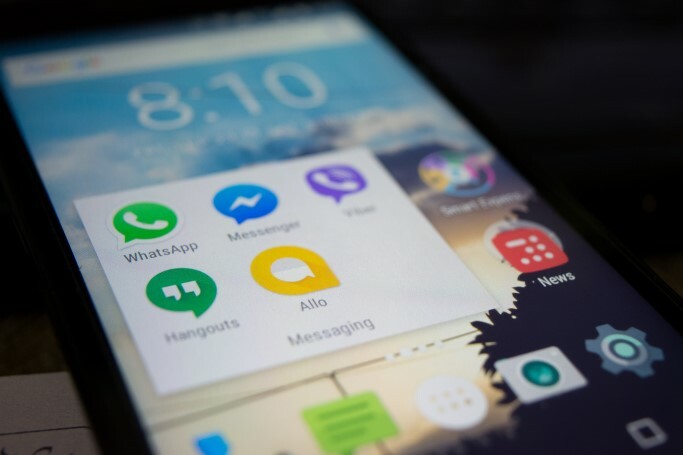 Perhaps WhatsApp might evolve from a mobile messaging app that facilitates interactions and communications between one or more private users to a hybrid form through which new services can be delivered to improve the customer experience and increase the efficiency of the enhanced digital products that are integrated in this alerts service. With this new entry point, new business models can definitely emerge and new business opportunities can be taken by enterprises in order to forge closer relationships with their customer base and win the battle for omnichannel experiences.